Joana Astolfi sits in the lounge of her new home in the center of Lisbon, surrounded by boxes. Her hands are like calm and delicate pincers holding a tea mug. Lisbon’s bright light catches her through the window and illuminates her gaze. 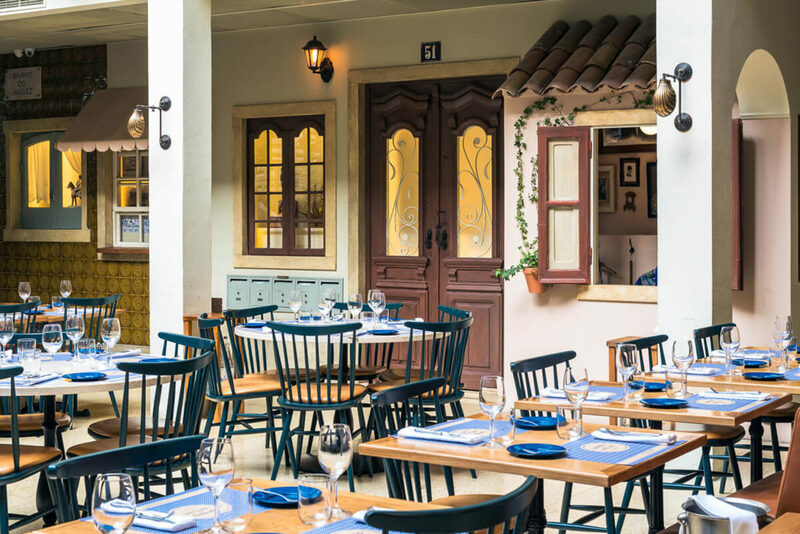 Growing up in Cascais, a small city just a few miles from Lisbon, Astolfi found the environment: “very cozy, family-oriented, intimate and surrounded by neighbors and friends,” she says. Astolfi grew up an only child to a Brazilian father and an art gallery-owning Portuguese mother and, like many other children in this international setting, studied at the a private English-language school in the area. When young, she played by herself for hours on end with small shop displays where she arranged objects that she brought home and used as toys. She always loved watching people and their gestures in the street, in cafés and everywhere. At age of 18, she went to study architecture in England. Her parents were against sending her to the city of London, so they chose the University of Wales in Cardiff. In her fourth year, she did an internship in Munich, where, she says, she learned “discipline, technique and thoroughness, which reinforced the creativity,” she says. “I loved it and made some lifelong friends,” she adds. Her final course project was an imaginary museum and aquarium, literally carved into the rocks above the sea, for Cresmina Fort in Cascais—the first of her many eye-catching ideas. ‘iShells’: Created in 2008, it’s become one of Joana’s most iconic pieces, and sold in various design shops around the world. Large wall installation (a former Hermès vitrine backdrop made by Studio Astolfi). Made from recycled Portuguese wooden doors cut into diamond shapes. Wall vitrine filled with Joana’s collection of small glass bottles. Joana with her 4-year-old daughter, Duna, playing in Joana’s bedroom. Wall installation (by Joana) hanging in Duna’s bedroom made from hundreds of recycled colouring pencils. Invited to join a huge architectural firm in London in 1998, she turned it down to be by her father’s side when he underwent surgery. Instead, she worked in Porto for a year, and only then moved to London, where she worked on refurbishing flats for three years. While visiting her hometown of Cascais, where her parents still live, she was asked to design her first house from the ground up, Casa Risso-Gill. “I never went back to London,” she says, laughing. 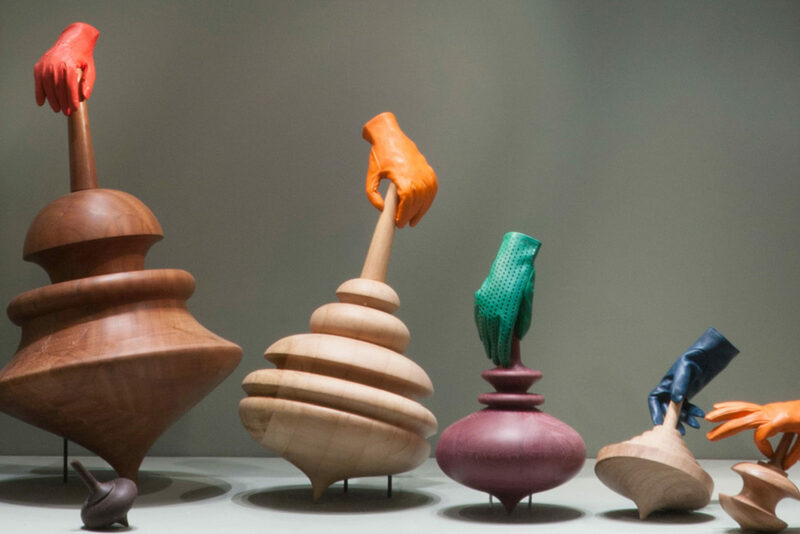 In 2003, she joined the young design team at Fabrica, the Benetton research center in Treviso, Italy. And there she shone, taking care that same year for the design of an important exhibition on Canova at the Civic Museum of Bassano del Grappa. 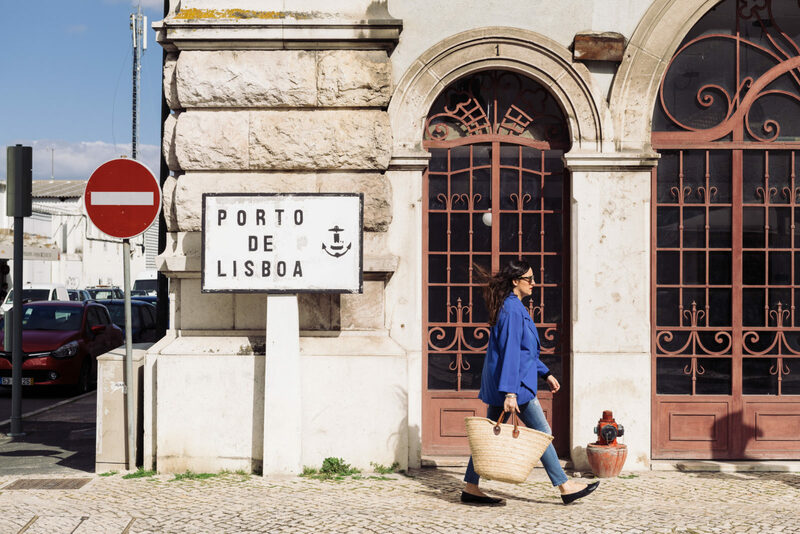 She returned to Lisbon two years later and opened a small studio and shop on a corner in Bairro Alto, the most youthful and bohemian area of Lisbon at the time. 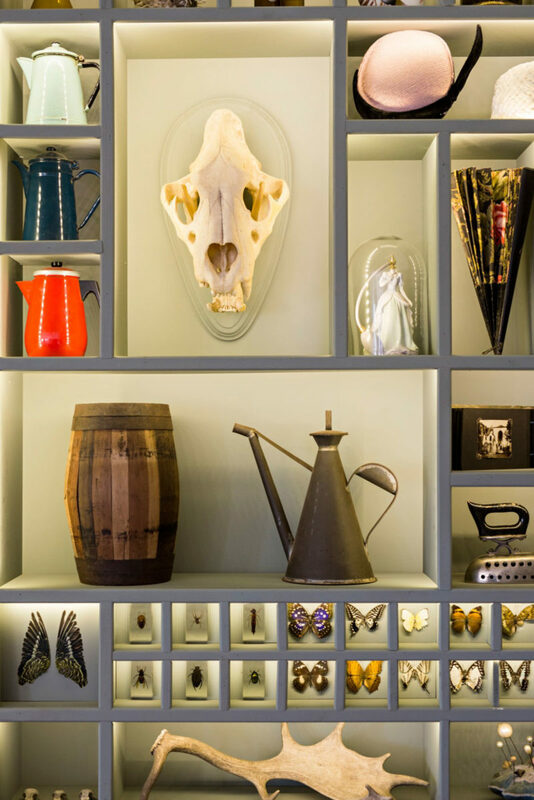 She filled it with the objets trouvés she had never stopped collecting, bought in old and musty shops or at the flea market. Objects acquired for no particular reason, other than for their beauty. Her desk was a door on two trestles and “people would peek in with curiosity: ‘What do you do?’ ‘I transform things,’ I answered, and they started bringing me objects to transform,” she explains. 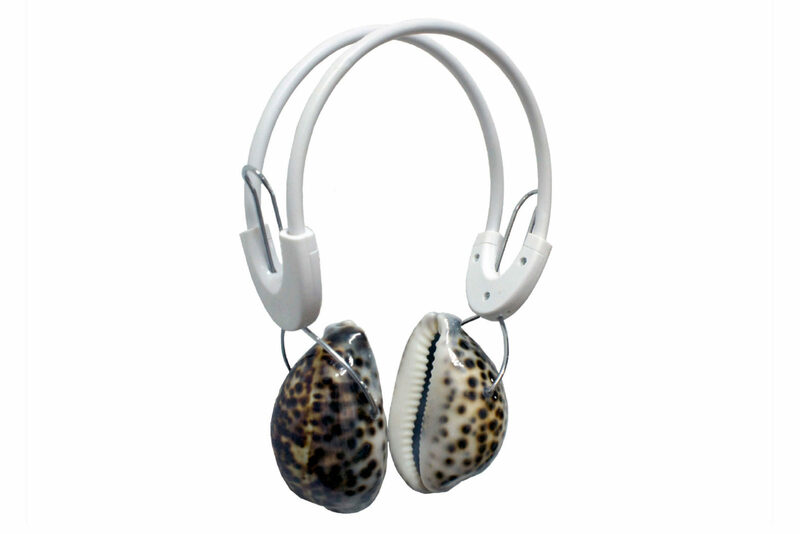 At the same time, she began making her own creations, and drew attention for her ‘ishells’, headphones made from two whelks on which you could hear the sea. 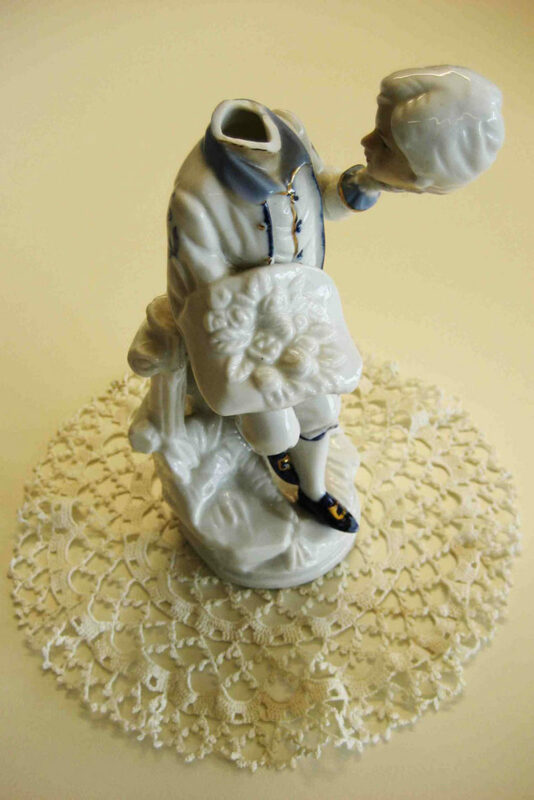 And for small cabinets of curiosities where she placed her anonymous objects and gave them a past—and a story. She gave a place and meaning to objects that others saw as useless. Joana at Vintage Department, the interiors shop located in Principe Real neighborhood, talking to Teresa, the shop manager. Joana at Pau Brasil, a Brazilian concept store, explaining the art installation made by Studio Astolfi involving mountains made from coffee and tropical plants with birds hand sewn in linen. Botanical garden in Joana's neighborhood. 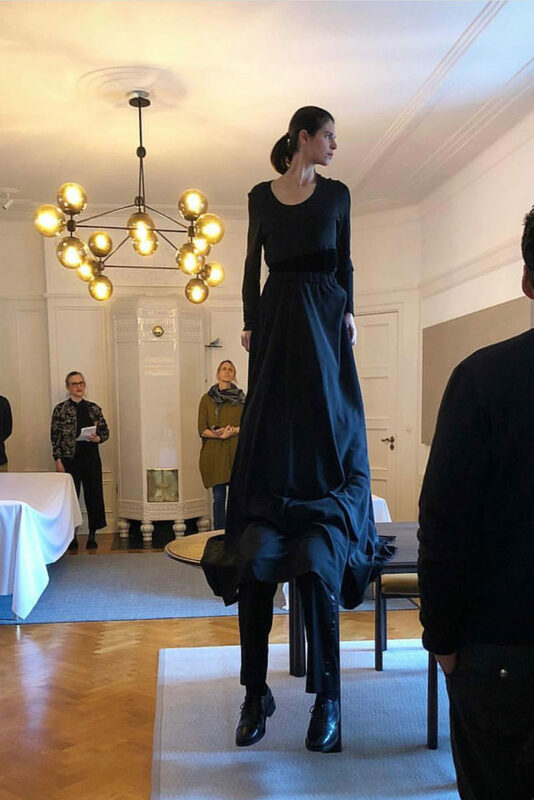 More recently, she went to Stockholm to present a Portuguese furniture brand De La Espada—and she did so via a performance called Let’s Pretend this never happened—a first for her. “To change how the world sees furniture and alter the idea of the stand and chair, I got two actors to tell stories, eat, dance, sleep and do what they usually do at home,” she explains. “Two actors in a house in pyjamas. And the public took part, for example by taking an object they considered important. At the end, everyone was crying,” she says, smiling. Building façade of a former factory located in Marvila, next to Studio Astolfi. Café com Calma, located in Marvila, where Joana usually goes for lunch during work days. Cantinho do Vintage, a vintage furniture shop located in Marvila where Joana buys a lot of pieces for her home and her interior design projects. 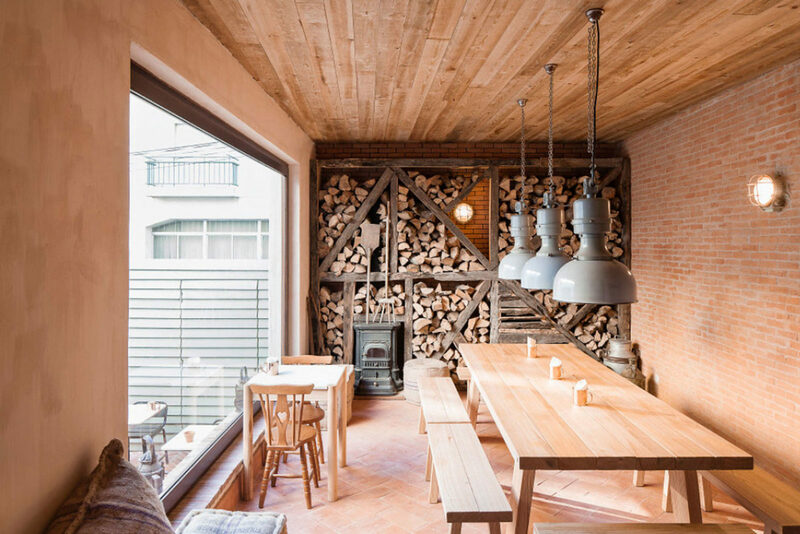 Bairro do Avillez restaurant featuring Joana's Walls have Ears installation. 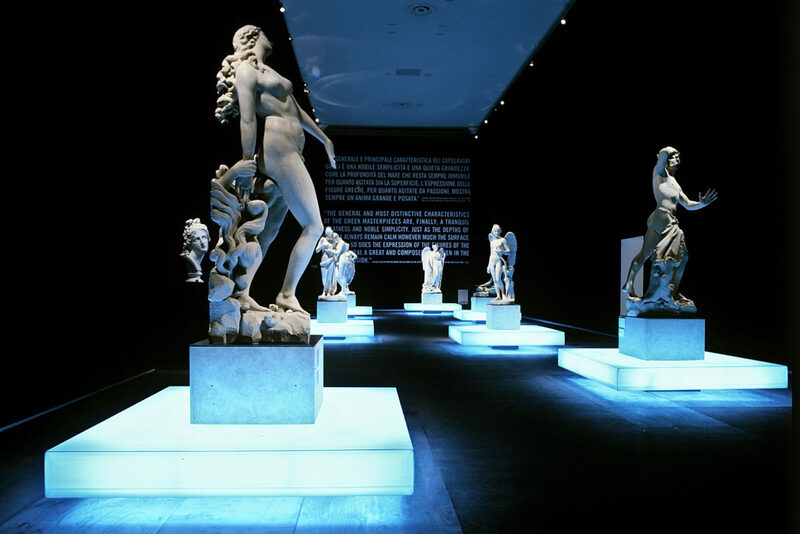 Canova, Bassano del Grappa, Italy Exhibition Design. Claus Porto Window Display, Fall 2016. Hermès Winter 2015 Window Display, Lisbon. 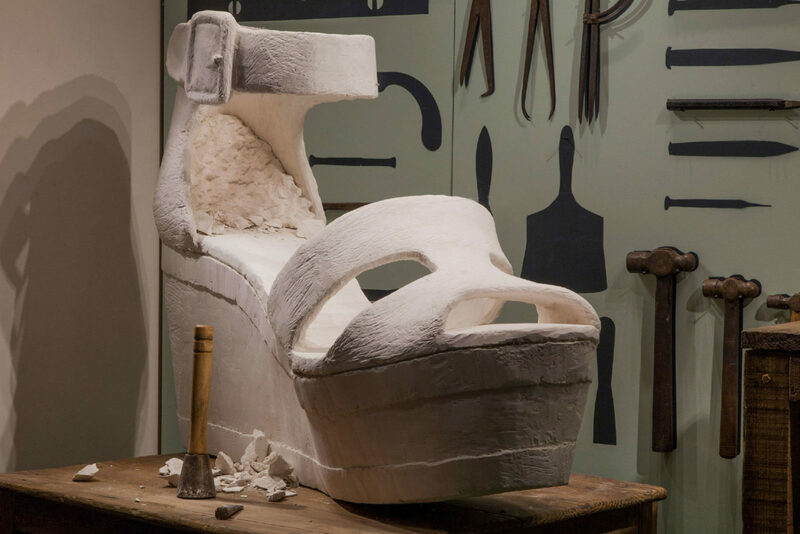 An oversized Hermès shoe used in one of Studio Astolfi's window displays for the brand. 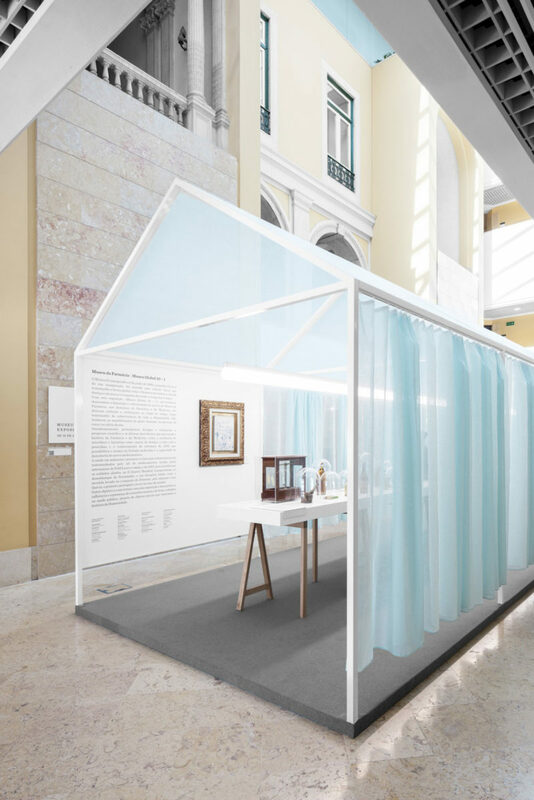 Museum of Pharmacy, July 2018 Exhibition Design. A Padaria Portuguese Bakery Interior Design. Astolfi’s eyes are genuine scanners of reality, people and beautiful things. 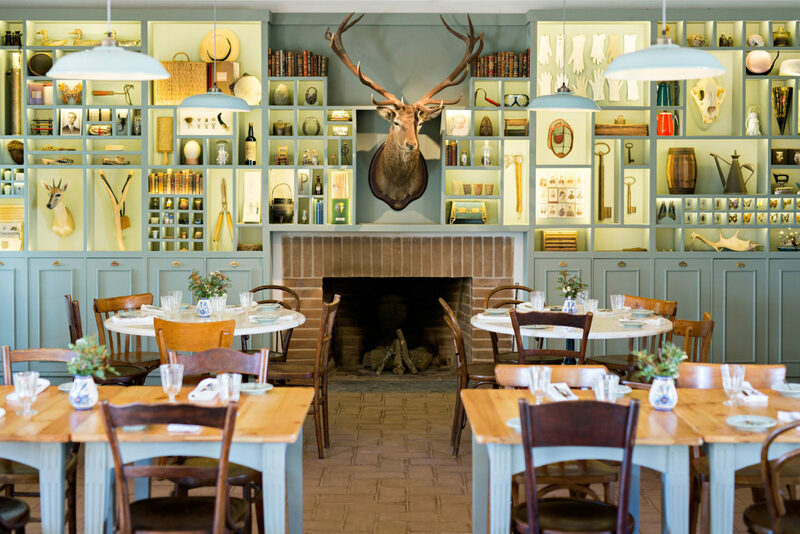 “When I enter a restaurant, a shop or a house, my eyes are like a magnifying glass. Then I create a kind of mental encyclopaedia from which I then take things out.” Curiously seductive, she knows how to bring people close together, how to interrelate sensitively and humanely with her objects and her stories. “I’ve become more sophisticated, more thorough. It’s really interesting. There are 20 of us in my team now. We’re a collective that works in the same language. That’s why I called it Studio Astolfi. I could be an artistic director, but it wouldn’t make me half as happy as working with people. We laugh, we cry and we’ve grown together. My style today is also a little bit theirs.” Studio Astolfi is now in the newest and coolest neighborhood in the capital, Marvila. It’s her base and Lisbon is her home. “There’s no better time to live here than now. It’s on fire. But even though I’ve lived here for 13 years, I still feel like a tourist!” Lisbon is already very Astolfi. Now, she wants to take her studio out into the wider world, as she has always done, to reach greater heights. Joana’s atelier, Studio Astolfi, located in Marvila, where a team of 15 collaborators work in the fields of architecture, interior design, art installations, and window displays. A digital photograph is converted into an art piece with hand-sewn pixels by Joana. 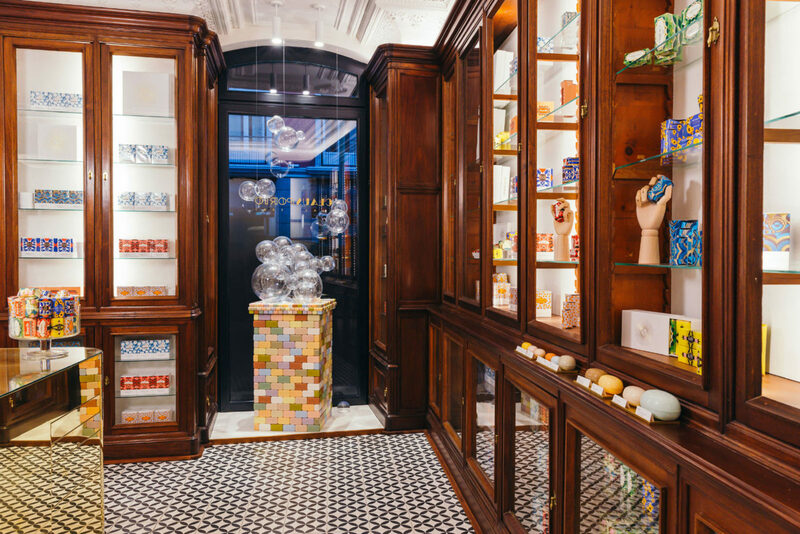 Learn even more about the projects Studio Astolfi are involved in from interior design and architecture to window displays and art installations. Joana’s installation ‘Never Eat More than you can Lift’ for chef José Avillez in Lisbon can be seen here. Find other inspiring stories from the Portuguese capital with our interviews with creatives in Lisbon. And whet your appetite with O Apartamento’s local recipes in this FvF Cooks.